Pre-heat oven to 200°C. Place pita bread onto a baking tray lined with baking paper. Spread pita bases evenly with tomato Napoli sauce. 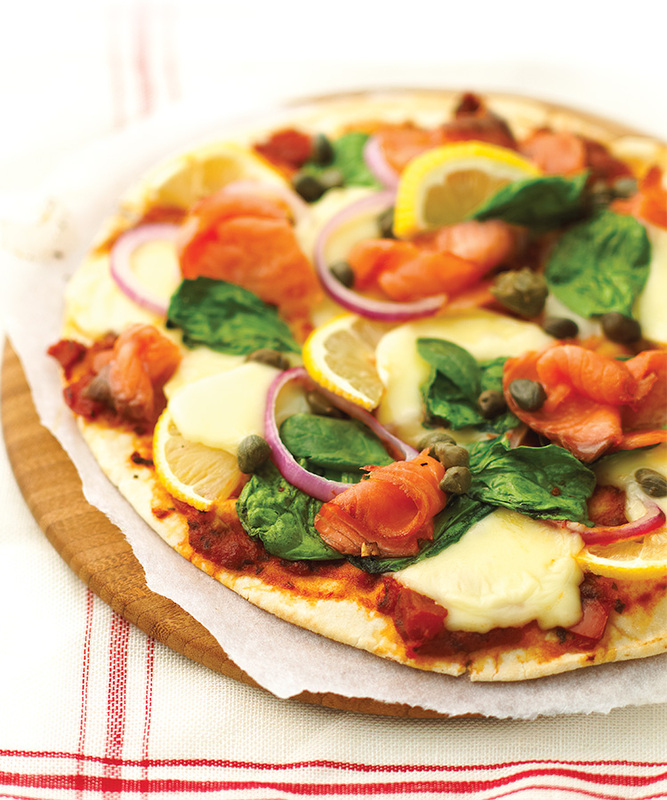 Top with spinach, then smoked salmon, followed by red onion and Bocconcini cheese. Bake for 10 minutes or until base is crispy. Sprinkle with capers, cut, serve and enjoy!